Carol Pearson was seven years old when she began to take painting and clay modelling classes at “Miss Carr’s” Victoria studio. The bond with her teacher was one of mutual passions: a love of animals, art, the oral and written word, and the land. Emily Carr called her young protegé Baboo, and Pearson referred to Carr as Mom. Carr’s beloved monkey, Woo, sat in the middle of the table, “helping.” Her Persian cat lay in one corner under the parrot’s cage, and three of the Belgian Griffon dogs she bred were her constant companions. The pet menagerie went with them on their frequent outings, where Carr produced many of her finest paintings. 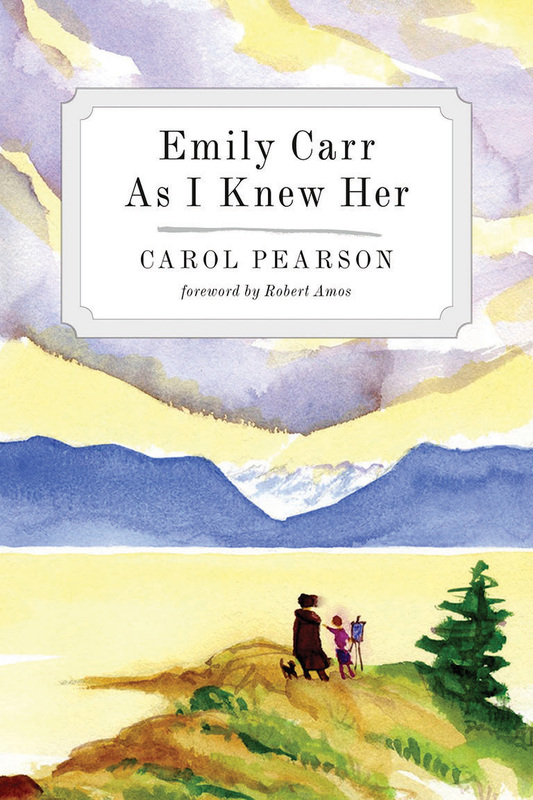 Pearson depicts a Carr few people got to know –– a practical lady with a sharp sense of humour, a kind-hearted person, and an ardent naturalist. Her book is a beautiful read that you will not want to put down.